In bedrooms, I really love using lighting you can see through. It adds "lightness" to the room and also brings in a bit of elegance. (Especially if you use crystal!) 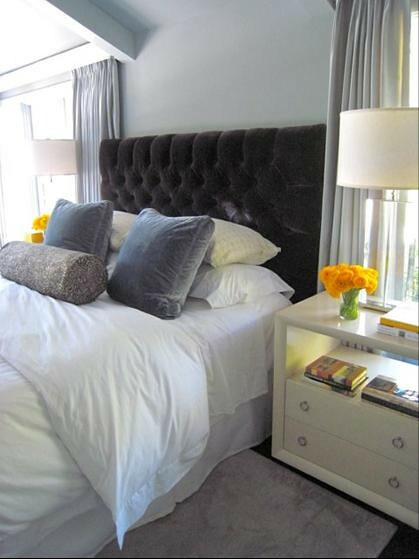 I decided to go this direction with our master bedroom.. a little more on that below. There are a lot of great options out there for glass and crystal lighting. Here are some great affordable options for those of us on a budget! I cannot wait for the room to be finished! As I bring in each piece it makes me excited for the end result. This will be the first "finished" room in our first house, so it's pretty sentimental for me. 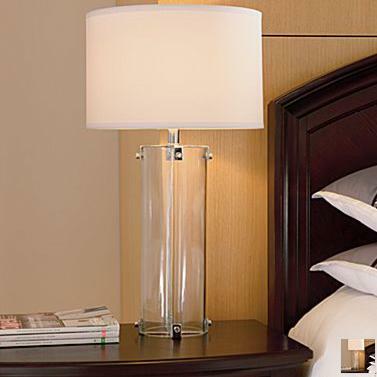 We're looking for clear lamps for our nightstands too! 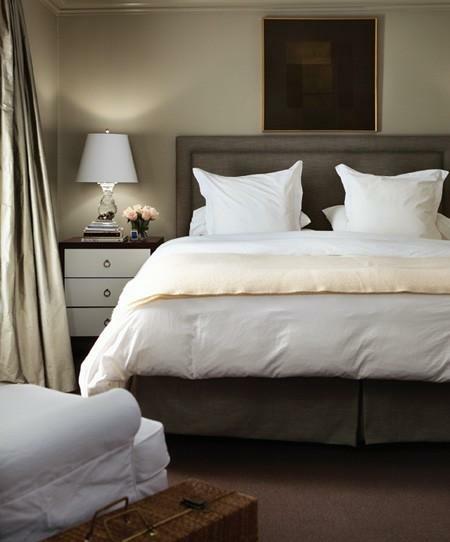 With windows on either side of the bed I love how the lamps block a minimal amount of light and still look glamorous! We were hoping to find some rectangular ones like some of your inspiration pictures. Did you find any place to buy some like that? 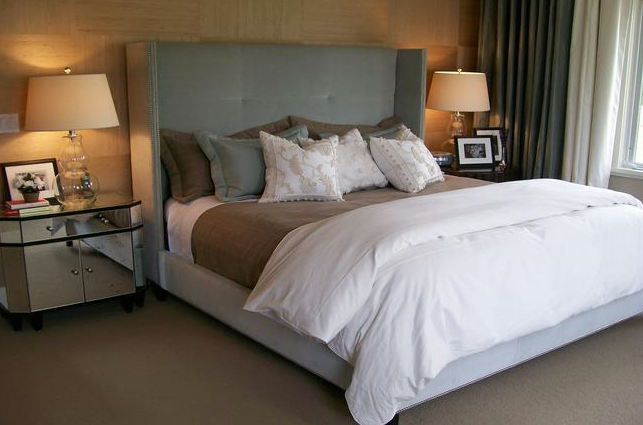 I like this post, not for the lamps, but for the pillows on the bed! I just got new bedding and I'm having major issues with the pillow situation. This was inspiring so thank you. I love those lamps from JcPenney, I actually just purchased a pair for my living room. I had the hardest time hunting them down because they were out of stock online and none of my local JcPenney's had them! I ended up purchasing the display lamp from 2 different stores for $40 each! Awwww fantastic find! What cool lamps! OK. JCP is really putting up some great items. I really like the lamps you chose. So super cool and modern looking against the lines of the bed. Love those lamps! Your master is coming along gorgeously! 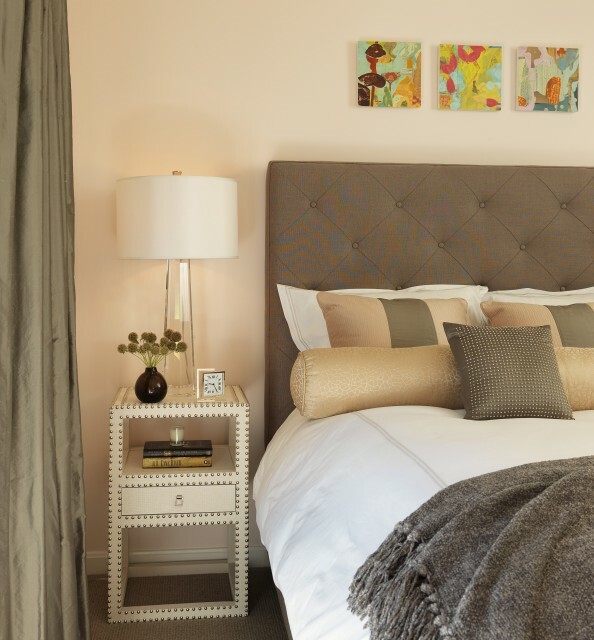 I never thought of a clear lamp in a bedroom- such beautiful examples- I love the look! thanks fo rthe inspiration! I love it!! Great find! I love those lamps. The clear base is fantastic. 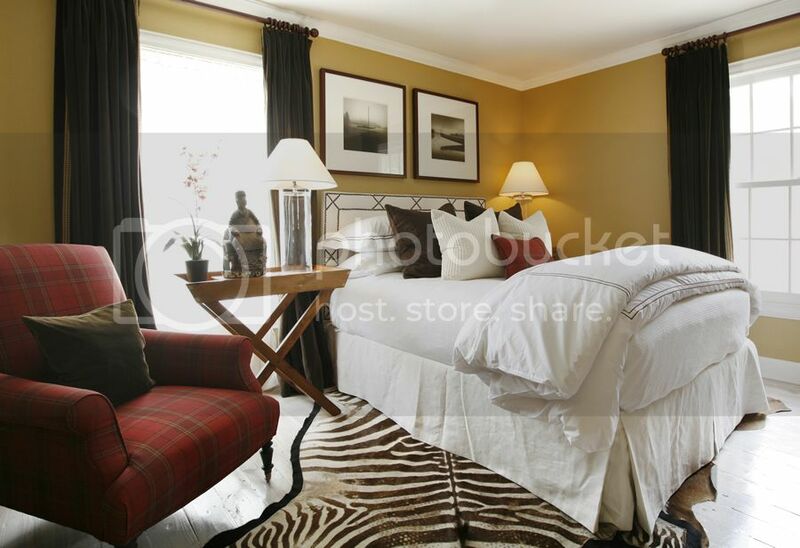 The headboards in all the rooms above also really caught my eye! I love clear lamps. I have a pair from Ballard Designs in my foyer. I wanted a pair of Lillian August, but the Ballards were so much cheaper. I also have a pair of lucite lamps in my bedroom that I adore and they came from Target, super cheap. So funny that you posted about these lamps today... I was looking at the C&B version, your JCP version, and another JCP version by Cindy Crawford. I need some for my console in my living room. You have great style. Can't wait to see your finished room! Totally agree! I especially like when they are in fromt of windows or mirrors....the light just sparkles off of them. Love your bedroom choice too! Wow, you presented some beauties, but your own choice is stunning. What a good deal, too! I love the image from LONNY. Oh, how I miss LONNY!! Great pics. Have a great week. I'm loving your JCP find! Beautiful and affordable! Can't wait to see the finished bedroom...good luck dresser hunting! Now that you "clarify" that - I realize how fabulous a look it truly is! Oh my goodness--that first lamp from Circa is divine! I love your choice. I would never guess those are from JCP! so so pretty :) We actually got a clear floor lamp as a gift so I'm excited to put it up soon. I can't wait to see the "finished product" of your room! Bryn I adore the elegance of these lamps and they do not detract from the decor. 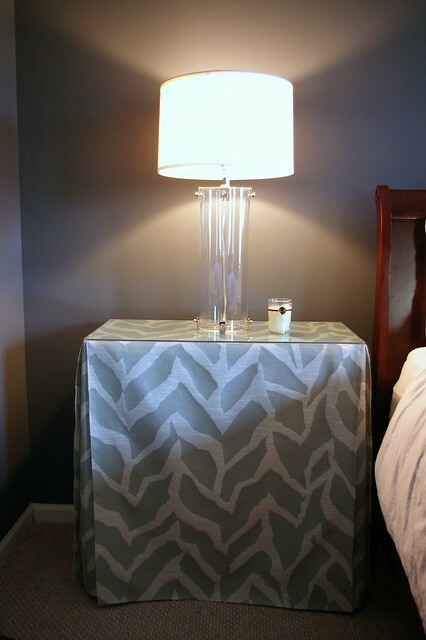 Love what you chose and the skirted endtable! Come and join my amazing giveaway from Splenderosa! 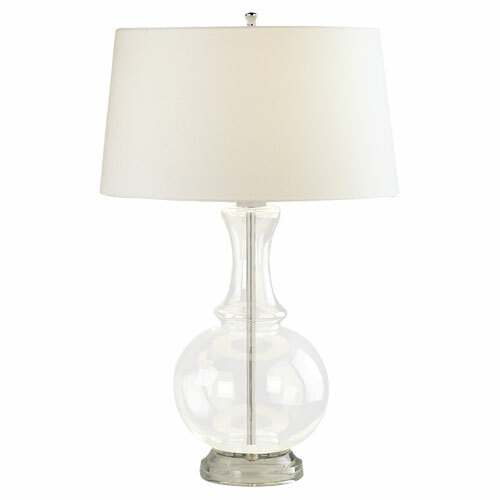 Bryn I love these lamps as they are elegant yet do not detract from the beauty of the decor! Excellent!! I really love that JCP lamp. In fact I like it more than some of the lamps that cost more money. I agree those are stunning and I love the ones you picked! I love glass lamps. Target has had some ones as well. Yay on the master bedroom progress!! yum, love the crystal ones from Circa. pricey, but not bad for what they are...especially compared to some of the other options. love this style! I really like the JCP ones. I bought my mom the big glass one from C&B last year for her birthday. She loves it!